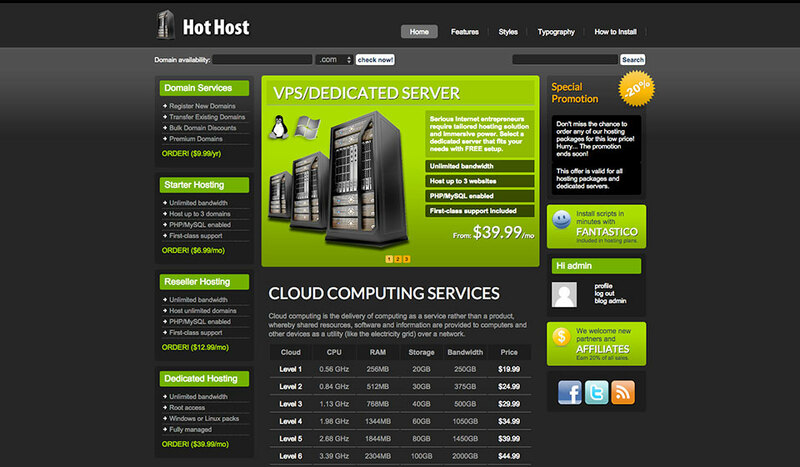 WordPress Hosting theme has all necessary tools for making a responsive site for web hosting company. For all companies that are selling web hosting, VPS, dedicated servers and offer domain registration services, it’s crucial to have a professionally developed website. 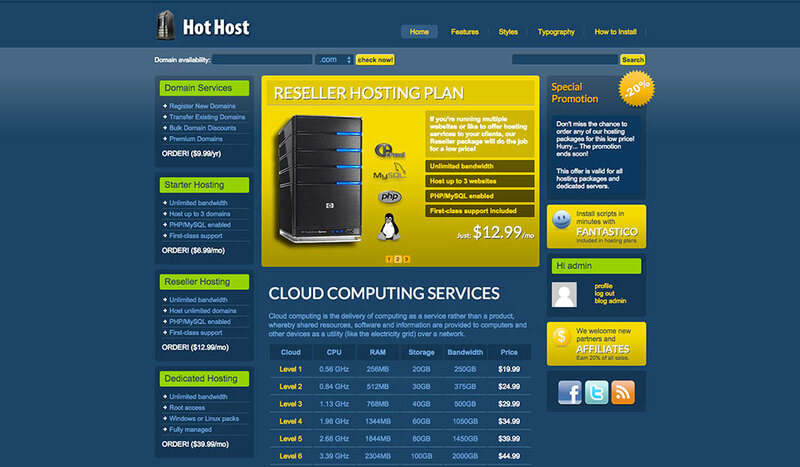 Web hosting companies can advertise various hosting packages they’re about to sell to their clients. 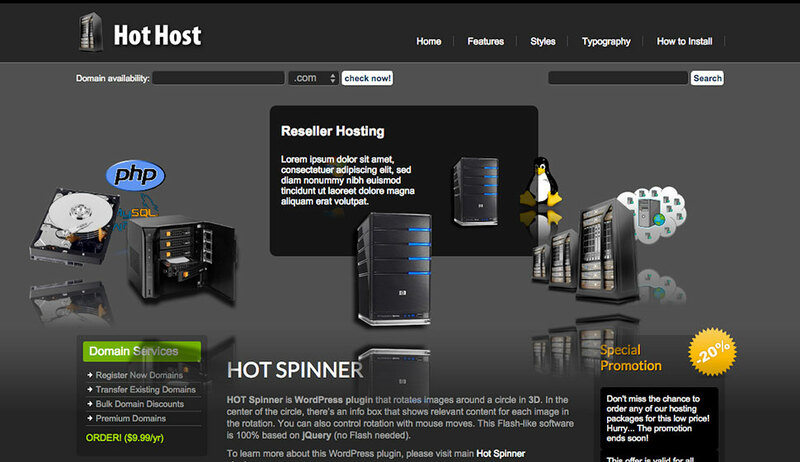 WordPress Hosting theme has the Hot Carousel Pro plugin integrated. It rotates several posts that can contain descriptions of the hosting packages. 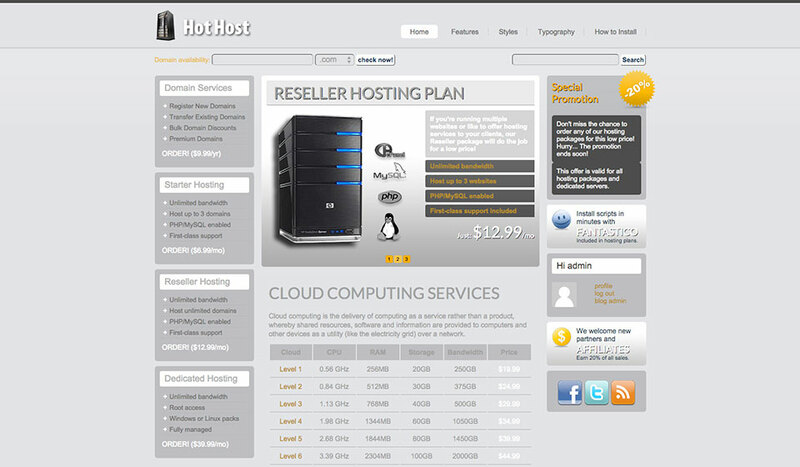 In addition, there’s a table that’s appropriate for selling the cloud hosting packages. 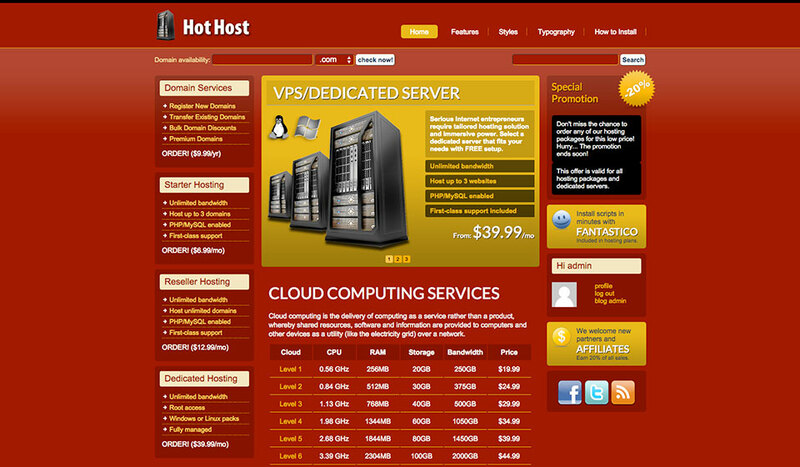 The left and the right columns are used for comparison of the best selling hosting plans. There is also a place for the information about current promotions, social network icons and login form. The bottom areas of the WordPress Hosting theme can be used for some promo text and images that additionally recommends this hosting company. In example, you can put some facts about the strong hardware, usage of green energy, etc. 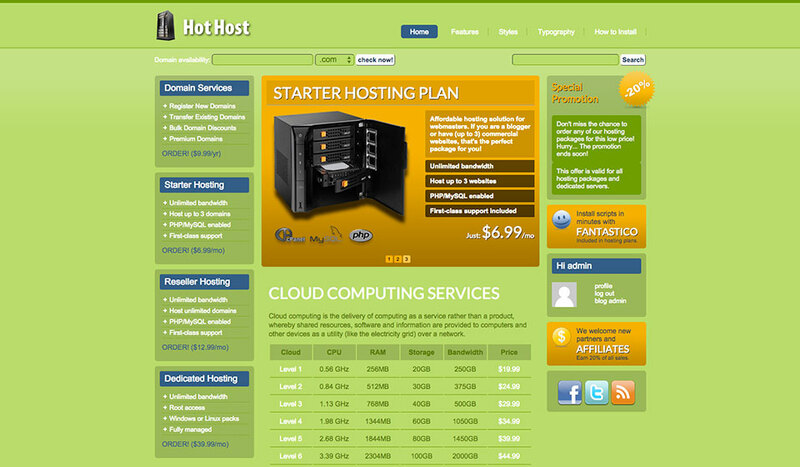 Also, you can explain what’s advantages of the cloud hosting compared to the classic hosting. 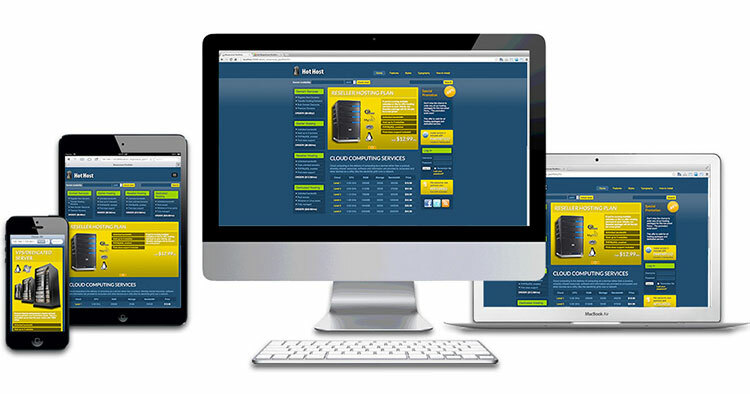 This theme is responsive which means that it looks good and optimized on all screens! Responsive design looks good on all devices. The width of the left and the right columns are parametrized. as well as the overall theme width. A free Domain Check script is included with theme. 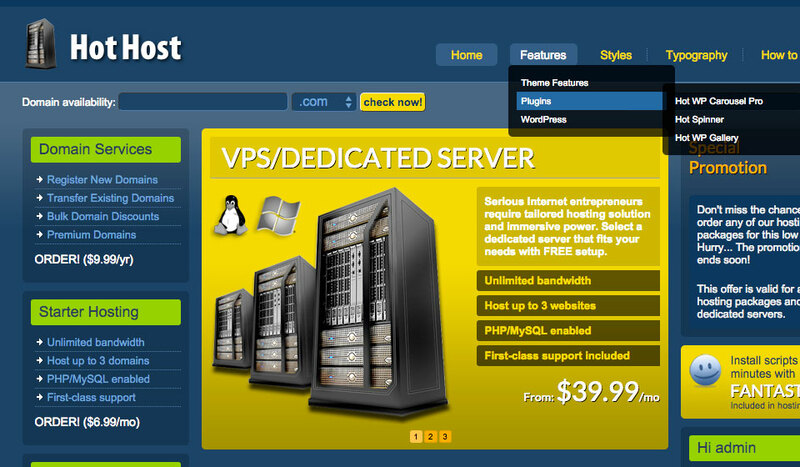 WordPress Hosting theme comes with 5 differently colored styles. 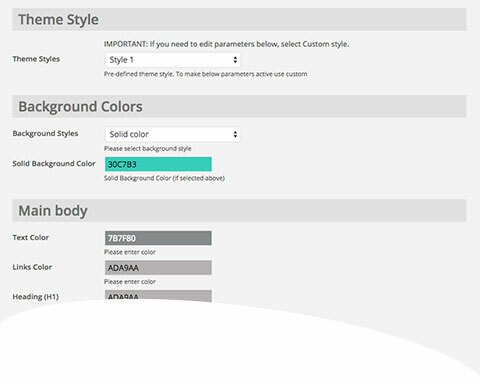 You can also create your own color schemes from the parameters which can be accessed from the theme options page. 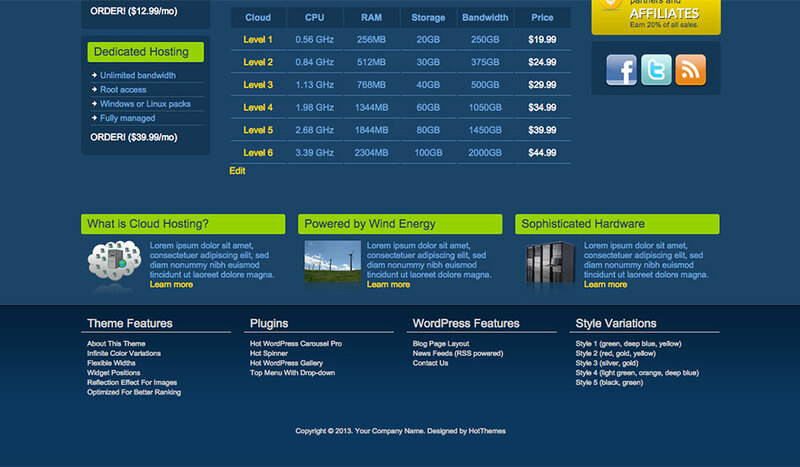 Two of our in-house plugins are included with this theme for free. It’s the Hot Carousel Pro mentioned before, and the Hot Spinner 3D rotator. Both plugins are based on jQuery. Make sure you checked them both on our demo site.